This article recently appeared in the New York Times April 4, 2016. In it, Gaia scientist Jeffrey McCrary discusses some of the environmental implications of the canal. BRITO, Nicaragua — A Spanish explorer conducted the first survey to connect the Atlantic and Pacific Oceans here in the 16th century. Napoleon III of France dreamed about it. The railroad magnate Cornelius Vanderbilt briefly had rights to do it. Nicaragua’s history is littered with dozens of failed canal schemes. But when a Chinese billionaire, Wang Jing, officially broke ground in a field outside this sleepy Pacific Coast village about a year ago, many Nicaraguans believed that this time, finally, they would get their canal. And not a small one, either. Three times as long and twice as deep as the Panama Canal, it would slice 170 miles across the southern part of the country — bulldozing through fragile ecosystems, virgin forests and scenes of incredible beauty. It would allow for the passage of the world’s largest ships, vessels the length of skyscrapers that are too big for the Panama Canal. Yet 16 months later, Mr. Wang’s project — it would be the largest movement of earth in the planet’s history — is shrouded in mystery and producing angry protests here. 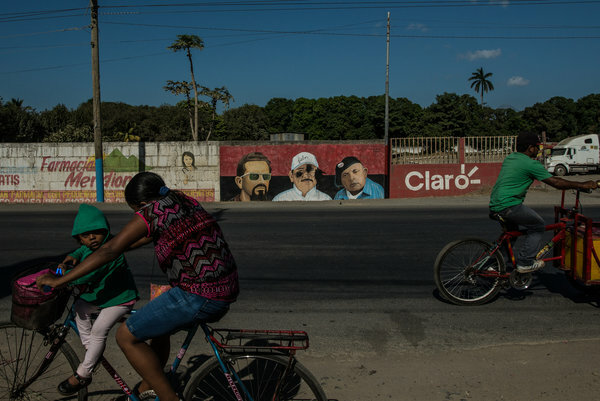 President Daniel Ortega has not talked about the canal in public for months. And there are no visible signs of progress. Cows graze in the field where Mr. Wang officially began the project. Experts say they are baffled by Mr. Wang’s canal. It may be backed by the Chinese government, part of its growing interest in Latin America, or may simply be a private investment cast adrift by the convulsions of China’s stock markets and its slowing economy. At the time of the groundbreaking in December 2014, the Chinese government said it was not involved with the project. This and Mr. Wang’s recent setbacks — he has reportedly lost about 80 percent of his $10 billion fortune — make some experts say the deal is probably dead. Others, however, say Chinese business practices are so opaque that it is hard to tell. Facilitating the movement of goods from the Pacific to the Atlantic aligns with Chinese interests, and the cost of the project is hardly an obstacle if the Chinese government wants to go forward — if it is involved. “It’s a project that has been notoriously nontransparent,” said Margaret Myers, the director of the China and Latin America program at Inter-American Dialogue, a policy institute in Washington. She says she believes the project is probably dead for lack of funds, but like most experts is not sure. What does seem clear is that the project’s critics — environmentalists, human rights advocates and economists — have grown more outspoken and organized. In this part of the country, many homeowners have stenciled “Go Away Chinese” on the sides of their houses, and virtually all the re-election posters for Mr. Ortega have been hit with black paint balls. When he announced the deal in 2013, Mr. Ortega, a left-wing guerrilla turned pro-business politician, promised that the canal would transformNicaragua and create hundreds of thousands of jobs, eventually doubling the country’s gross domestic product. Many Nicaraguans, eager for a better future, embraced the idea, and many still do. But a growing number say the benefits of the deal are not so clear. Some question whether the canal would even be commercially viable. Few supertankers and massive container ships now afloat will not be able to pass through the expanded Panama Canal set to open soon. And few ports are big enough to welcome those megaships. In the short term, some experts say, the combination of the Panama and Nicaragua canals would lead to overcapacity and price wars. There are also concerns about the seismic activity in the area, or the many volcanos. Some analysts point to China’s poor record on environmental matters and Mr. Wang’s inexperience in building anything, let alone a $50 billion (some say $80 billion) canal carving through miles of protected areas that are home to many endangered species, including the jaguar, and legally recognized indigenous lands. The little-known Mr. Wang made his fortune in telecommunications, not in construction. 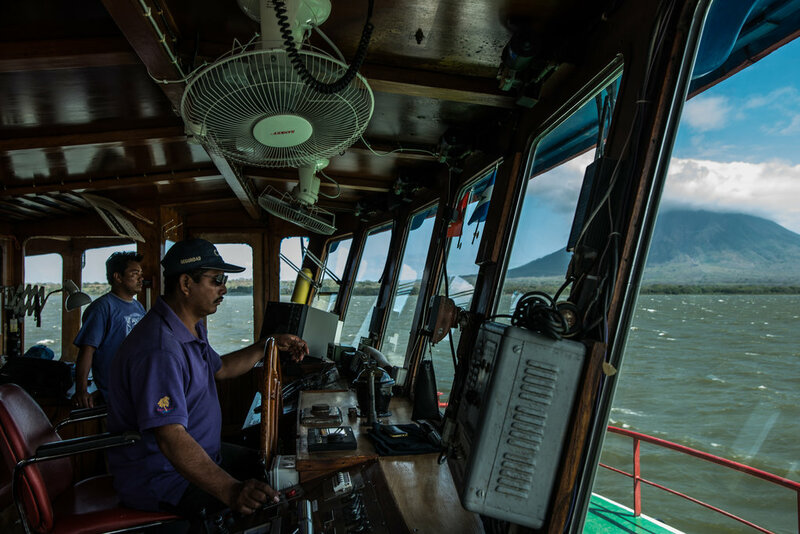 And then there is the 50-mile trench to be dug on the floor of Lake Nicaragua, the largest body of fresh water in Central America — which many fear could end up contaminating, even killing, the lake. Economists and human rights activists also object to the powers Mr. Wang has to expropriate land at far less than market rates, saying the terms of Mr. Wang’s concession could discourage anyone else from investing in Nicaragua. That aspect has prompted protests from farmers, some of which have turned violent. Experts say Mr. Wang will have to pay only the assessed value, or about 5 percent of the market value, for any lands he takes. But many farmers would not be entitled to even that. In a country that is short of adequate roads and government offices, many do not have formal title to the fields they have cultivated for generations. Juan Sebastián Chamorro, the general director of theFunides research institute, who has come out against the canal, said the agreement with Mr. Wang, rushed through Parliament and enshrined in the Constitution, effectively made no landowner safe anywhere in the country. Mr. Chamorro said that the majority of the construction jobs would not go to Nicaraguans and that Panama did not become prosperous until it won control of its canal. That is unlikely to happen here for 100 years, according to the agreement with Mr. Wang, which he can sell to a third party. 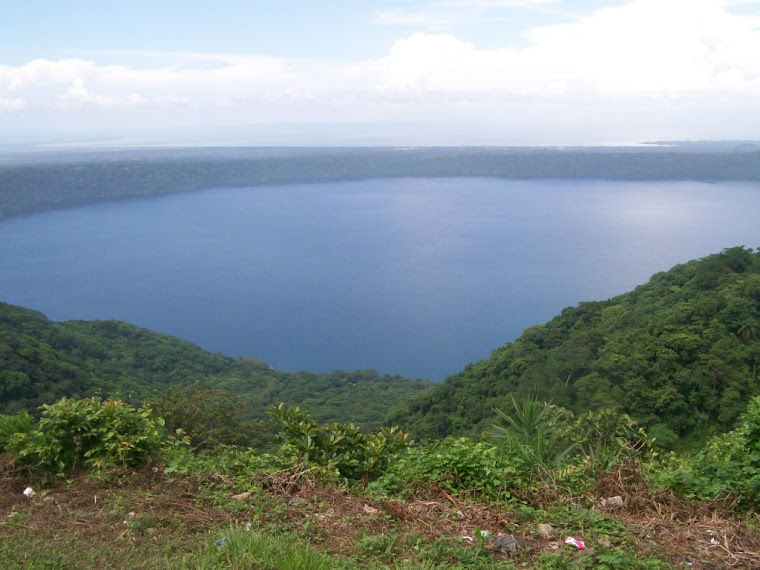 Under the current plan, the canal would begin along a stretch of pristine beach in Brito, then cut through Lake Nicaragua, which, with two volcanoes rising out of it, is one of the country’s major tourist destinations. It would reach the Caribbean coast by cutting through the land of the Rama and Kriol people, in areas that are not accessible by road right now. But the plan is much broader than just a canal. Mr. Wang’s vision includes new airports, new ports on both ends of the canal, new lakes in the mountains to make sure the canal has enough water, and new islands in Lake Nicaragua to dispose of excavated sediment and rock. A 1,100-page study of the project, conducted by the British consulting firm ERM and issued five months ago, reinforced the notion of how much is at stake. It recommended further studies in many areas before going forward and noted that a wide range of mitigation efforts would be needed, like reforestation and job training. Some see hope in those efforts. Jeffrey McCrary, an American fish biologist who lives in Nicaragua and worked on the study, supports the project, saying Mr. Wang’s company will have to provide money to clean up environmental damage already caused by deforestation, poor land management, crop fumigation and general dumping into Lake Nicaragua. 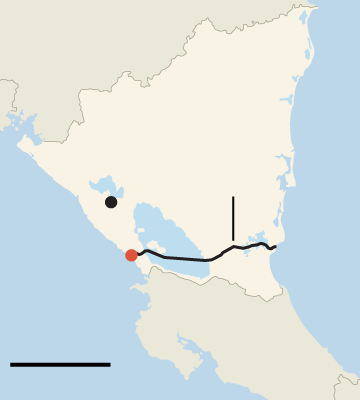 Kamilo Lara, a member of the Nicaragua Canal Commission, a group appointed by the government to oversee the project, said many critics of the project were political opportunists. Mr. Lara said the canal plan had been adjusted to deal with problem issues, like potential earthquakes, tsunamis and environmental concerns. And people who might be displaced by it, he said, could be moved to small cities with new schools and services they never had before. In answers to written questions, Pang Kwok Wai, the executive vice president of Mr. Wang’s company, the Hong Kong Nicaragua Canal Development Investment Company, said Mr. Wang was in talks with potential investors and would announce progress “in due form.” He said Mr. Wang had already invested about $500 million of his own money. Mr. Pang also said the company, though not obligated to do so, would pay market rates for the land it wanted. “We are in Nicaragua to bring progress and play a fair game,” he said. In the meantime, speculating about the canal has become a national pastime, though polls show that Nicaraguans grow less inclined to believe that it will be built. Some still hope it will lift this country out of poverty. But in Brito and the nearby city of Rivas, those who expect to be displaced are angry. Teresa de Jesus Henriquez Delgado, 31, is one of the residents who used a stencil to paint “Go Away Chinese!” on the outside of her house. Michael Forsythe contributed reporting from Hong Kong. A version of this article appears in print on April 4, 2016, on page A4 of the New York edition with the headline: Lost in Nicaragua, a Chinese Tycoon’s Canal Plan.